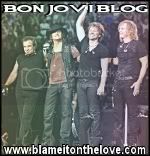 Download for free the Bon Jovi Web Radio 2012 calendars from our downloads page. Download, print and post them on your wall. By this way you will not forget the Bon Jovi radio shows. HAPPY BON JOVI NEW YEAR!! !